Company coming? No need to cook the whole weekend away – there’s no better place to entertain out than right here in the Tri-Valley. From hip and scene-y to family-friendly, we’ve found the best places to take holiday guests in town. A few meals at these tasty hot spots, and you may never save leftovers again. The breakfast at Denica’s is so popular that come late morning, the line for baked goods is out the door. Your guests won’t mind though, as cookie samples as large as other place’s actual cookies are passed out to hungry waiting customers. The Dublin (and now Livermore) go-to café offers up decadent breakfast, like a veggie Noah G breakfast burrito or cookie dough waffle, and lunch, featuring artisan sandwiches and south-of-the-border faves. 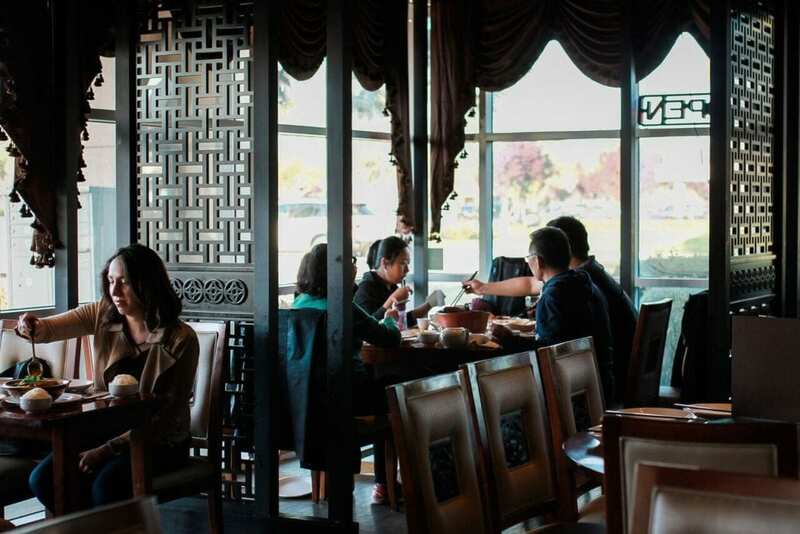 If you need a break from Americana, head to the yummy, upper-scale China Lounge in Pleasanton. The dining room and bar are stunning, and the Szechuan menu offers the spiciest dishes for those who can take it – like the signature fish in chili oil that’s served in a clay pot. Or spring for milder favorites, such as braised pork belly and ginger hot and sour soup. If you’re craving an elegant steak dinner, make a reservation at Forbes Mill Steakhouse in Danville. Dress to the nines, sit down to an impressive wine list and dine on a menu of the finest cuts of beef, including prime certified Angus and decadent Tajima Black Wagyu. There is also plenty of fresh seafood and all the classic sides.